Wedding photography is about documenting one of the best days of your life. You will drop your dark chocolate digestive into your tea from laughing when you come across the photos of the two of you making crazy moves on the dance floor. You will be reminded of the joy you felt when you look at photos of all of your friends, especially those who came to your wedding from different parts of the world. The photos will take you back to the morning of your wedding day when your loved ones helped you to get ready... of course, reading these paragraphs, it's obvious you're looking through your wedding album from back to front. But that's cool, that's the way you guys roll. You like to do things a little different. So do I. Your wedding is a day filled with unforgettable emotions, your favourite people, tears and laughter. As a wedding photographer my goal is to make you feel stress-free. No bossing around, rushing or hurrying; the day is yours, I'll capture what happens. I have a documentary style, the atmosphere is nice and relaxed; this allows us to connect and build trust. Thanks to that I can capture the most intimate moments of your day. I'm passionate about wedding photography and my couples which means you can rely on me, my creativity and professionalism. Still, my number one objective is for you to have great fun on your wedding day and leave the documenting in images to me. All of my packages include beautiful wedding albums. You choose the images, we work on the design together and you have final say every step of the way. Your wedding album is your archive of all the special moments you shared on the day. My vision is for you to relive the emotion and joy every time you curl up on the couch and slowly turn each page. I feel very lucky you’ve stumbled upon my work, and I do hope we can work together. If you have any questions, please click here. “We booked Joanna for our wedding in Dublin. Like most couples we were very nervous about our pictures being taken but once we met Joanna for our pre wedding consultation we knew everything would be fine. Joanna was very reliable and communicative in the run up to the wedding day, she was always quick to respond on the phone or email to our questions. During the wedding day she put us at ease and she made the whole thing very relaxed and enjoyable. We really like how friendly and helpful she was, she was constantly smiling and even our guests were asking if Joanna is our old friend who happened to be a wedding photographer. 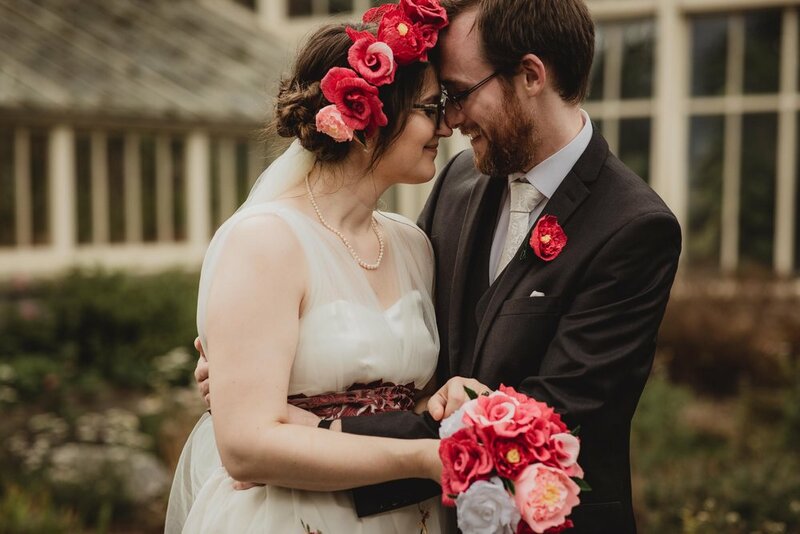 If you are looking for an alternative wedding photographer with a documentary style but most importantly with a friendly approach we highly recommend Joanna"
A WEDDING PHOTOGRAPHER IN DUBLIN and HAPPY TO WORK ANYWHERE IN IRELAND. I like mangos and I cry at weddings. I’m a city girl and a country girl, I love both! I like to wander around the streets of Dublin or sit in a coffee-shop window and people watch. I also love to escape the hustle and bustle of Dublin City and jump in my car and explore the West of Ireland. I love my job as a wedding photographer, it’s always exciting and I get to meet great people. I’m delighted to be part of the community of wedding photographers in Ireland.